We are domestic roofing contractors providing roof repairs, new roofs and general exterior work, in Peacehaven, Lewes, Newhaven and the surrounding areas in Sussex. Our expertise covers all types of roofing work including flat roofing, roof repairs, gutters, soffits and fascias, tile and slate work, lead work, to a complete new roof. We also undertake conversions and general building work. We are GRP - Flat Roofing Specialists! We work at a time that suits you. We have fixed prices for many jobs to give you the security of no “hidden extras” that seem to crop up with many of our competitors. We operate a strict policy of no call out fees, free fixed quotes and a 24 hour emergency service to ensure that we’re there when you need us at an affordable and competitive price. Roofing services we cover; Chimney work - Commercial & Domestic - Felt roofing - Free Quotes - Fully insured - GRP specialists - Guaranteed work - Installation - Lead work & more. Our roofing installation and repair work can be seen throughout Sussex County in areas including Worthing, Peacehaven, Lewes, and Newhaven which has seen us build fantastic customer relationships. 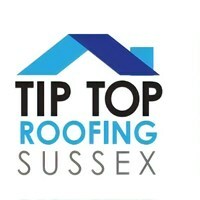 So if you are looking for roofing locally around Sussex and need a company that will do exactly what it says on the tin, feel free to call Tip Top Roofing, at any time.